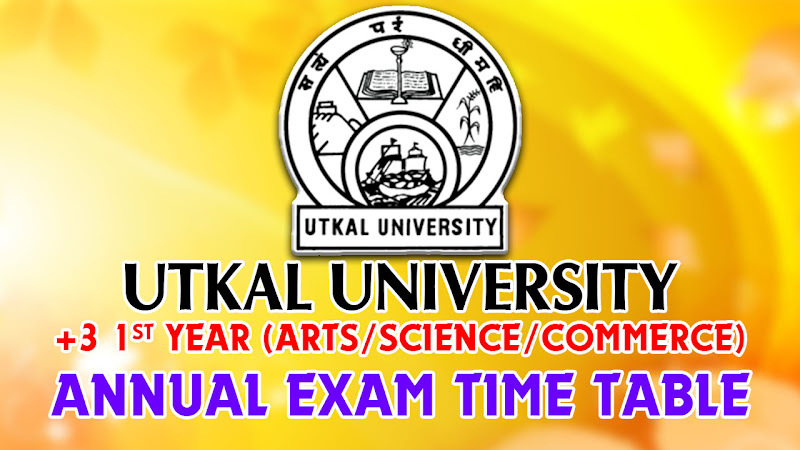 Utkal University announced Exam Schedule Time Table for +3 Arts, Science, Commerce students. Programme For The 1st University Examination (Regular & Back) Of Three-Year Degree Course In Arts / Science /Commerce (General & Honours), 2017. The students admitted to +3 Degree Courses during the Academic Session, 2011-12, 2012-13, 2013-14, 2014-15 and 2015-16 Bachelor of Arts / Science and Commerce) required to appear at the First University Examination (Old Course) 2017 commencing as per the following time schedule in conformity with the revised Regulations and Syllabus. For 75/100 Marks - 08.00 A.M. to 11 00 A.M.